People have very different preferences when it comes to choosing bathroom design, but the inevitable thing is, contemporary bathroom design is one of the most fascinating designs to consider. They give anyone enters the bathroom a clean feeling. To ensure the purposeful design of your bathroom you would need to use geometric shapes and patterns, the mid-century furniture is something to give a try. With the least effort, your bathroom could be a place for cleanliness and comfort. The less the colors of your bathroom is, the better. 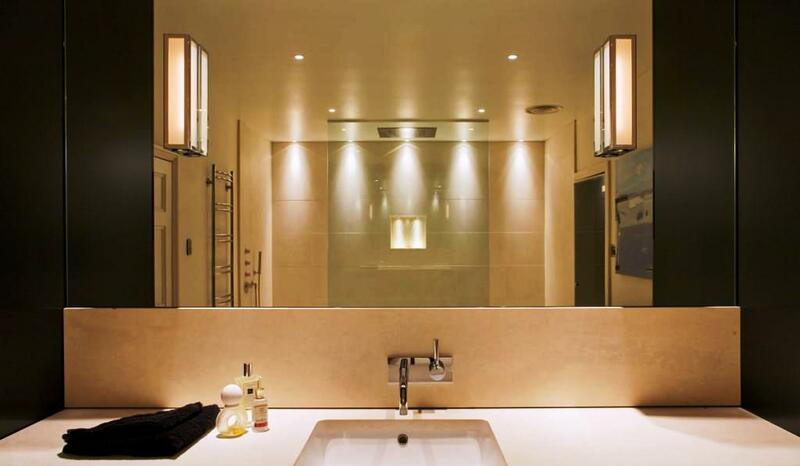 Because of the bathroom design is so important, let's discuss these ideas in further details. What is mid-century modern design? As the name implicates, it's the interior design of the bathroom that returns in its age to the mid-19th century, particularly to 1933-1965. This design includes architecture and furniture of the bathroom. One may ask, will I get furniture in the bathroom too, really? It is not as expensive as it may sound, you can start by a simple chair in the bathroom to make you feel comfortable at it. It includes using natural colors, geometric shapes and straight lines too. When you are about to choose the finals of your bathroom, you can look into the colors that can fit into your preferences during the look for the type of faucet, mirror, and fixtures. You may imagine that the more complex your design can be it would be better and attractive, but the dozens of evidence throughout the history tell us the contrary. No great innovative work has been accomplished by complexity, simplicity always takes the upper hand, and the great treasures lay in the simple ideas. You should make sure to keep a space free of clutter is clean, open and organic. You can use cabinetry to hide your personal stuff. Make sure to keep the space for relaxation cleanliness; don't clutter it with the unnecessary things like the toiletries and novelty items. 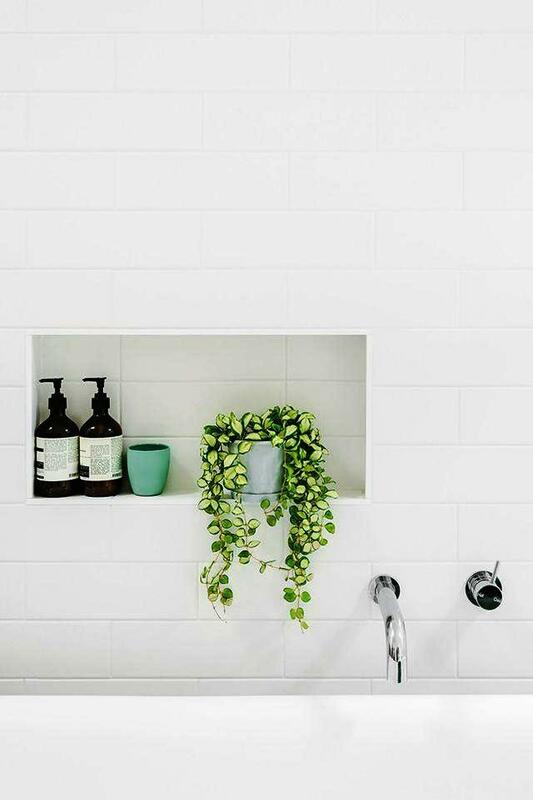 Other simplistic décor ideas for the bathroom design may include framed geometric mirrors, white flowers pots to be put on your shelves adding an organic feeling, showcase concrete, and wood elements. 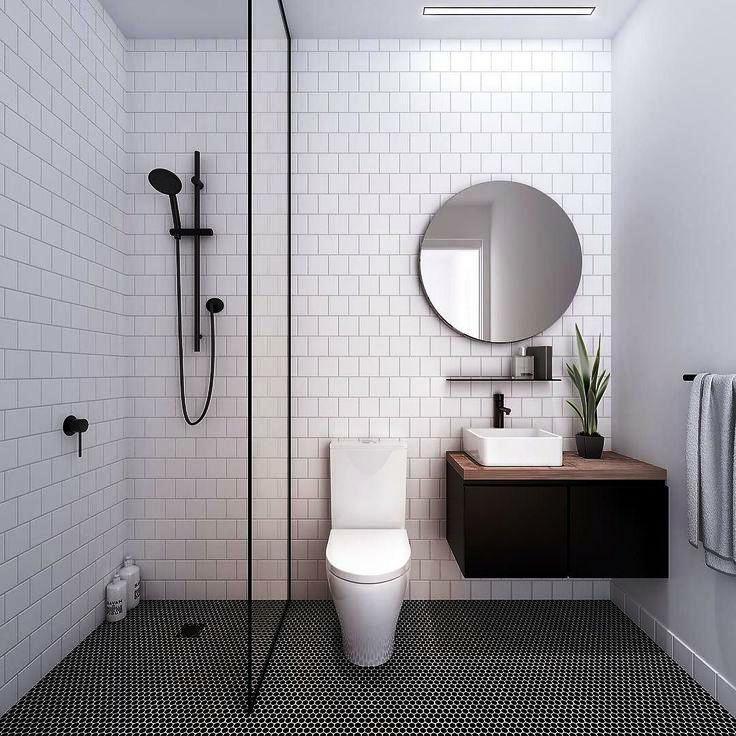 One trend in the contemporary bathroom designs is using freestanding tubs and stay away from the traditional shapes of it, like the oval shape, using more modern looks of it such as the rectangular or the pedestal ones. You should also ensure the symmetry of your bathroom design, because as you know that symmetry is one of the fundamental keys of beauty, you may do that by placing the tub in a spot that improves that overall harmony of the bathroom. 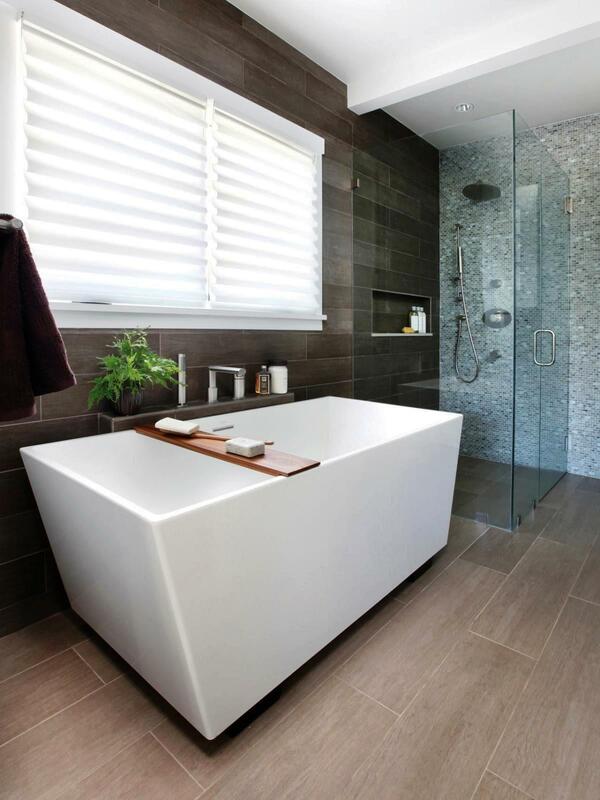 In order to feel more comfortable in your bathroom, you want to feel connected to the outdoor world. The beast and an even healthiest way to achieve that is by adding some organic green features to your bathroom design. No worries, it can be done easily as the modern design coincides with the organic design, bring some plants to your bathroom and enjoy the feeling. After applying these ideas to your bathroom you may want to see them clearly. On the day the sunlight may achieve the task, but at the night you will need a powerful modern light system in your bathroom. The two main lines to consider are the light fixture and also the placement of light, and there are a lot of choices available to you. Modern design is all about lines and geometric shapes, so you should consider windows, placement of light. 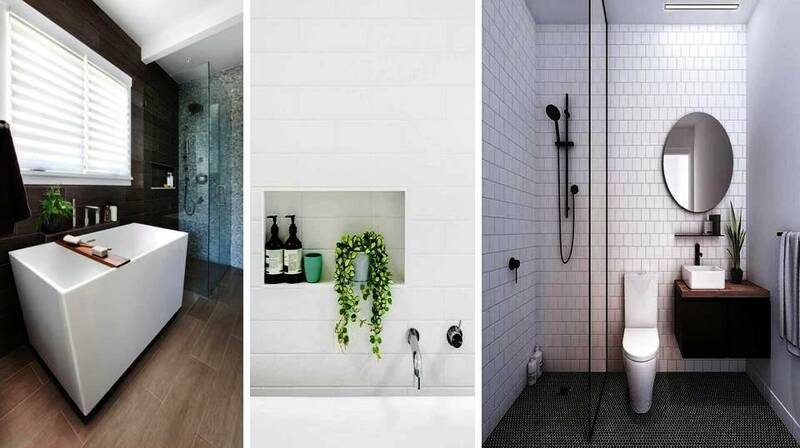 There are plenty of ideas to develop an amazing bathroom, and these are some examples of them.